The mission of the Transportation Research Board is to provide leadership in transportation innovation and progress through research and information exchange, conducted within a setting that is objective, interdisciplinary, and multimodal. The TRB website highlights recently released TRB reports, meeting announcements, requests for proposals, and other announcements related to security and emergencies. In addition, the site includes links to selected security and emergencies research-related activities taking place at the federal and state levels, and within the academic and international transportation communities. 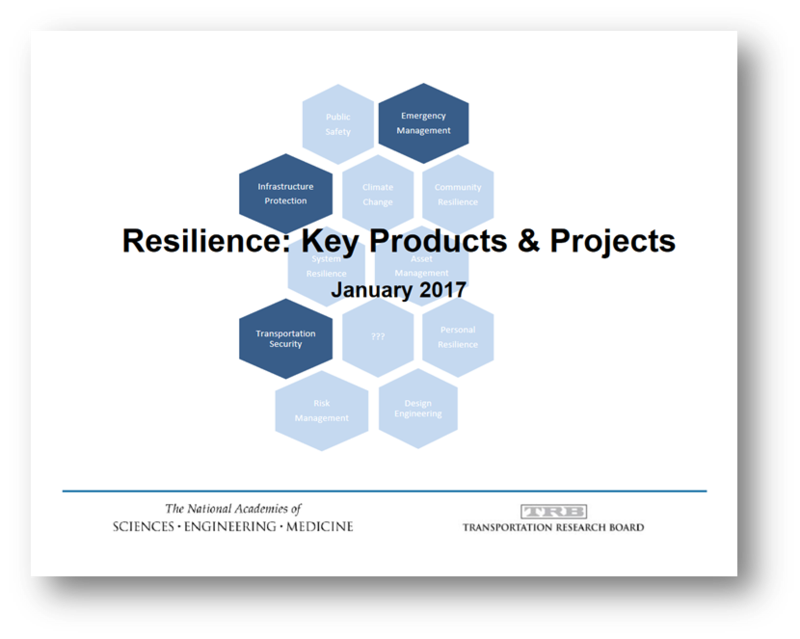 Finally, the website highlights and provides links to TRB programs and activities, which are the source of most of TRB’s security and emergencies-related research products. Click here for the latest information available from TRB.